A clean and tidy business is important for numerous reasons. Dirty and neglected work environments can be problematic in many ways. They can discourage employees from doing their best. They can stop productivity. They can also be bothersome to customers and clients. No one wants to spend their time in a place that’s anything but clean and fresh. People gravitate to bright and welcoming spaces. Immaculate settings make people feel comfortable and at ease. Dirty ones, on the other hand, accomplish the exact opposite. It’s critical to note, too, that clean and hygienic environments give off a sense of credibility and professionalism that’s hard to replicate. If you want people to take your business and its services and products seriously, a clean environment is a must-have. How Can You Keep Your Work Environment Clean? Don’t worry if you don’t have a lot of time to spare. It can be next to impossible to juggle work and janitorial duties at the same time. That’s why you should leave all of your janitorial needs in the hands of seasoned and trained professionals. 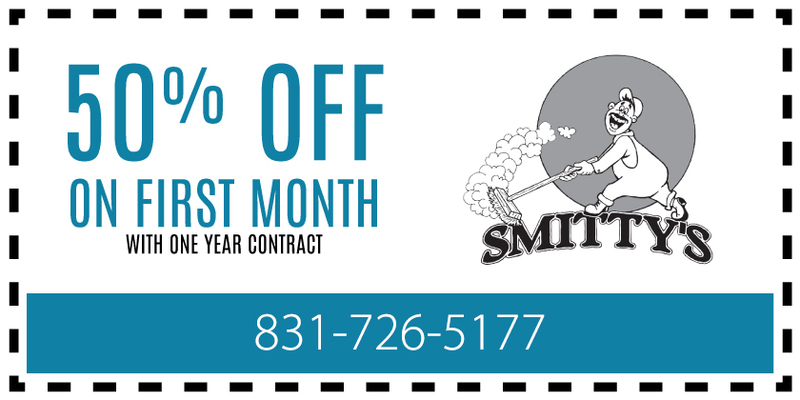 Smitty’s Janitorial Service, Inc. is a reputable local company that can manage any and all of your commercial cleaning needs. If you’re looking for efficient and effective professional office cleaning service, our experts can save the day. We give our customers a vast selection of options in cleaning specialties here. Some examples of our offered services are floor waxing, sealing and stripping, move out cleaning and, finally, building maintenance. We offer monthly, weekly and daily cleaning options to our customers. It doesn’t matter if you’re looking for one-time cleaning for a healthcare clinic. It doesn’t matter if you’re searching for routine cleaning assistance for an apartment community. We can show you our cleaning magic and expertise. Our team members happily manage cleaning projects of all sizes. Smitty’s Janitorial Service, Inc. is a company that has a strong reputation in the cleaning services world. Our professional cleaners are all seasoned, hard-working and capable people. They make use of the most modern and effective cleaning practices out there. They use safe and high-quality cleaning tools and equipment as well. If you’re searching for a janitorial services firm that takes customer satisfaction seriously, that’s us. We go above and beyond to exceed our customers’ expectations. We go the extra mile to keep our cleaning services affordable and reasonably priced, too. Be sure to ask us about any specials or discounts. Our aim is to provide customers with the finest and most budget-friendly janitorial work in the area. Smitty’s Janitorial Service can impress you with fantastic office cleaning, building maintenance and more in Capitola and Santa Cruz. If you’re looking for the greatest and most attentive commercial cleaning services in those communities, reach out to us as soon as possible. Contact us today for additional details and to request a quote.